Trust AAMCO South Tampa, FL to maintain your car, truck or SUV with our lifetime fluid service. AAMCO South Tampa, FL now offers lifetime fluid exchange services with select premium products. 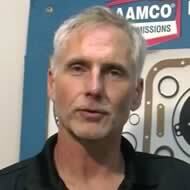 See your AAMCO professional today for details. Our center can provide all of your vehicle's service needs specified in the owner's manual. Our skilled technicians perform a wide range of services, making AAMCO South Tampa, FL your one-stop shop for all of your vehicle's repairs and maintenance.